Alchemy’s foundation stands on a culture of excellence and performance that pervades the whole organization, creating tangible results for its clients. The core team has collaborated for more than a decade, ensuring continuity in investment pattern and philosophy. A fraction of earnings is set aside for Corporate Social responsibility (CSR). World class infrastructure that provides solidarity to your investments. Lashit Sanghvi, Director & CEO: Mr. Lashit Sanghvi has over two decades of experience and has been featured in CNBC’s “Wizards of Dalal Street”, as one of India’s successful investors. Besides public equities, his area of expertise also involves development of systems critical for running a high-performance investment management business. 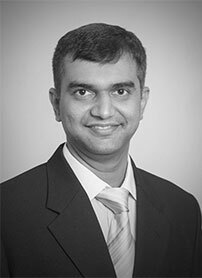 Hiren Ved, Director and CIO: Mr. Hiren Ved started his career by working with KR Choksey & Co, a sell side firm known for its value investment approach, and eventually graduated to become the firm’s Head of Research. He brings over two decades of experience in bottom-up stock picking, managing portfolios and managing a high-performance investment team capable of delivering consistent, superior alpha. 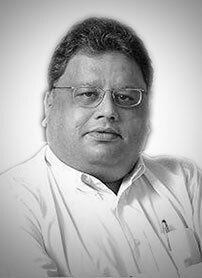 Rakesh Jhunjhunwala: An experienced, longstanding investor in the Indian capital markets. Mr. Rakesh Jhunjhunwala has made all his wealth by investing and trading in the Indian markets for over 30 years. 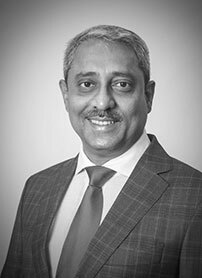 While he is not involved in the day-to-day functioning of the firm, his mentorship and guidance has helped the group develop its consistent ethos and performance. 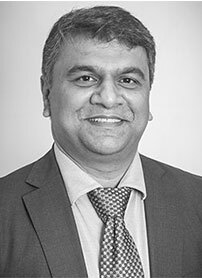 Ashwin Kedia: He possesses over 25 years of comprehensive equity market experience. His key strengths are stock picking and developing corporate relationships. Ashwin has also featured on CNBC’s ‘’Wizards of Dalal Street- Gen Next’, a series on the most successful young investors in India. Mr. Neeraj Roy is a Commerce Graduate and has a Masters degree in Management. Neeraj founded and leads a vibrant team that is a part of the Hungama group in India, one of Asia’s largest Digital Media Entertainment conglomerates. He is also the Chairman Emeritus of the Asia Board of the Mobile Entertainment Forum (MEF). He has been associated with MEF for more than 5 years now. Mr. Manu Parpia is the Founder, Managing Director & CEO of Geometric Ltd. and Chairman of 3DPLM Software Solutions Ltd. He has served as the Chief Executive of the Electronic Business Equipment Division of Godrej & Boyce from the mid-eighties till 1999. 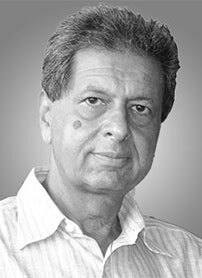 During this period, he had also founded Godrej Pacific, a joint venture between Tech Pacific and Godrej & Boyce, and served as its Managing Director from 1995 to 1999. Mr. Parpia holds a Bachelor’s degree in Chemical Engineering from McGill University, Canada; an MBA from Harvard Graduate School of Business Administration, USA; and a Diploma in Finance & Accounting from England. His areas of specialization include international marketing and business development, business strategy and commercialization of technology. 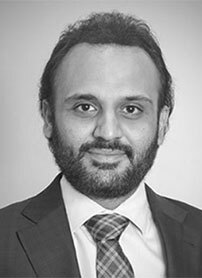 Hiren Ved, Director and CIO : Mr. Hiren Ved started his career by working with KR Choksey & Co, a sell side firm known for its value investment approach, and eventually graduated to become the firm’s Head of Research. He brings over two decades of experience in bottom-up stock picking, managing portfolios and managing a high-performance investment team capable of delivering consistent, superior alpha. Ms. Pooja Keswani is a Chartered Accountant with three decades of experience spanning across sectors such as FMCG, BPO & Financial Services. 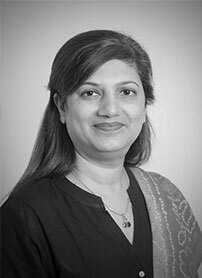 Prior to the stint with Alchemy in 2009, her key assignments included Procter & Gamble, Willis- Captive Insurance and Motilal Oswal, holding positions of Sr. Financial Analyst, National Sales Finance Manager, Head of Operations, Chief Financial Officer and Head of Business Solutions. 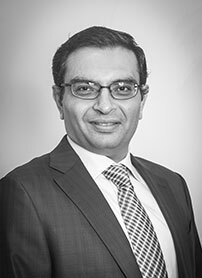 Mr. Sameer Tirani is a senior banker with over two decades of experience in wealth management, liabilities and asset businesses, strategic planning and implementation coupled with expertise in setting up systems and sales processes. Before joining Alchemy in 2009, he has held key roles in the Wealth Management space within the Mass Affluent and Private Client segment. 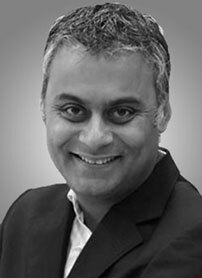 He has previously worked with Citibank, Standard Chartered, ABN Amro and Motilal Oswal. An associate member of the Institute of Company Secretaries of India (ICSI), Mr. Chirag Pandya also holds a degree in Law and is a post-graduate in Investment Banking. He has about 18 years of experience in the compliance, secretarial, risk and legal sectors. His portfolio boasts of key assignments in top companies including BNP Paribas, Marico and Reliance. 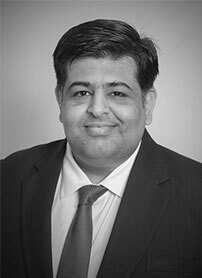 A senior financial services professional, Mr. Mohit Bhagat has experience of over 15 years in wealth management and asset management channel distribution. The IIM Calcutta alumnus, who associated with Alchemy in 2017, has been a wealth advisor and channel business developer across companies such as ICICI Bank, ICICI Prudential AMC and Franklin Templeton AMC. Mr. Bhagat also has a MBA degree having specialized in Finance. 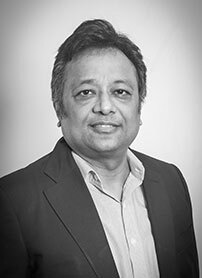 Mr. Hiren Ved joined Alchemy in 1999, spearheading the firm’s asset management business. With over two decades of experience in equity markets, he has carved a niche in “Bottom-up” research and stock picking with extensive coverage of companies across various sectors. A certified cost accountant, he has over 25 years experience in the Indian equity markets. He has been a Co-Founder and Chief Investment Officer at Alchemy since its inception. A Chartered Accountant by profession, Mr. Amit Nadekar has worked across equity research, corporate strategy, taxation and audit over the last one and a half decades. He started his career on the sell side, tracking the US banking & financial sector; later moving on to the corporate side as a part of the Corporate Strategy team at Raymond. 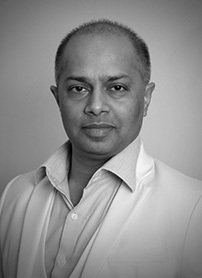 He has been a part of the Alchemy investment team since 2005. A CFA Charterholder, Mr. Seshadri Sen has been covering Indian markets since 1992. 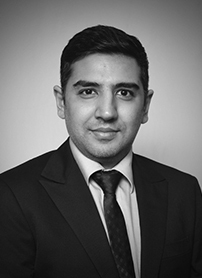 Prior to joining Alchemy in 2018, he had served as the lead analyst at JP Morgan, covering banks and financials. Mr. Sen has over 25 years of experience behind him and some of his key assignments in the past included Macquarie Capital, SocGen, ICICI Prudential AMC and a previous stint with Alchemy. An alumnus of Presidency College in Kolkata, Mr. Sen also holds an MBA degree from XLRI Jamshedpur. With over 19 years of equity market experience, Mr. Vikas Kumar has expansive experience that includes equity analysis, private client fund management and strategy building on a sell-side institutional desk. He specializes in creating data-based quantitative algorithms & mathematically objective implementation strategies. His unique research paper on investment methodology, A Quantitative System for Reflexive Financial Markets, earned him a U.S. copyright. He pursued a BA in Math from Delhi University, qualified for Indian Institute of Technology Joint Entrance Examination (IIT-JEE), was a state-level National Talent Search Examination (NTSE) merit scholar and one of the national CBSE toppers. Prior to Alchemy, he worked with Dalal & Broacha Stock Broking and collaborated at Reliance Capital. He was also nominated as one of the best Quant Analysts in Asia by Institutional Investor magazine in 2009. 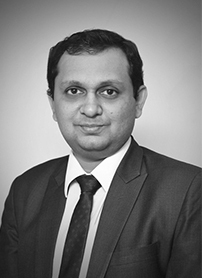 Mr. Sumit Chaturvedi has over 13 years of experience in quantitative analytics and financial pre-trade and post-trade consultancy. 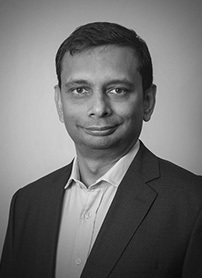 He has worked with Quant Capital and Edelweiss Securities in the past and, prior to joining Alchemy, worked as a consultant for asset management firms and hedge funds to help them develop strategies for long-term investments and short-term trading. He was also responsible for helping these firms and hedge funds streamline their pre-trade and post-trade operations. 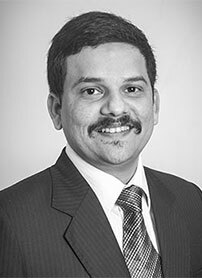 Mr. Darshan Engineer has about eight years of experience in credit and equity research. Darshan completed his computer engineering degree from Sardar Patel College of Engineering, Mumbai, in 2005. After that, he worked as a software engineer at Tata Consultancy Services for two years. Thereafter, he completed his MBA (Finance) from Jamnalal Bajaj Institute of Management Studies, Mumbai, in 2009. From there, he joined CRISIL, India’s largest credit rating agency, where he rated bank loans of Indian mid-corporates and led a team of three analysts. In July 2011, he joined Alchemy Capital Management, where he first worked with the offshore debt team to analyze foreign currency convertible bonds and bonds issued by Indian corporates, Government entities, etc. He also provided credit analysis to the equity team, and has since joined the equity investment team.